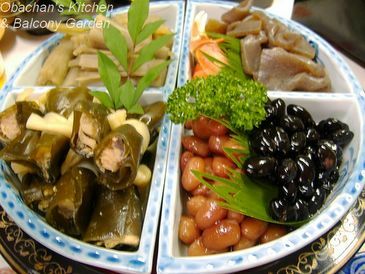 I can't help but read with great envy on the traditions, the multitudes of glorious intricate food and togetherness the preparation brings. Perhaps this is also why I am starting to get more and more interested in the Japanese Culture. Anyways... wanted to wish you the very best that 2007 has to offer and to thank you for sharing these traditions with me! あけましておめでとうございます。I was so happy I could read that on your card!! Only because I know what it said in advance - if I tried to work that out I would have no chance - what beautiful penmanship you have!! I find that style so intriguing, yet so impossibly difficult for me to work out! 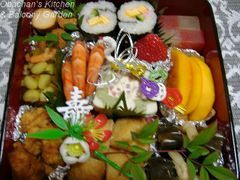 Looks like you had a great feast there - I had my own little osechi this year by myself - prepared by my Osaka Obachan at the local yakitori-ya. I will post about it soon. Anyway - EVERYTHING looks amazing in your photos! I see your whole family is as talented as you are in presenting food. Maybe that is just something I will never learn. I don't pay enough attention! 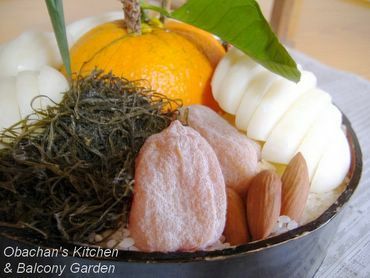 OK - too long a comment - Happy New Year Obachan, and I hope that this year we continue to see so much of your wonderful cooking. I certainly learn a lot from you. Thank you for these gochiso!! 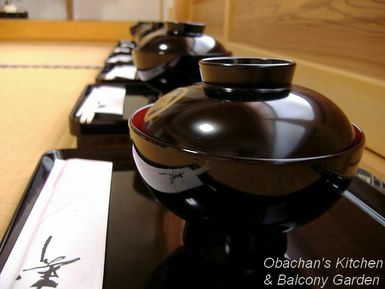 obachan, that's SOME pen(wo)manship! really cool. let's have a fab year together, peace to all! 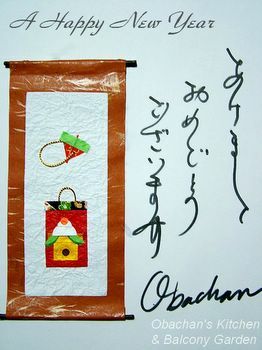 Have a great year, Obachan! what a pretty feast! happy new year!! 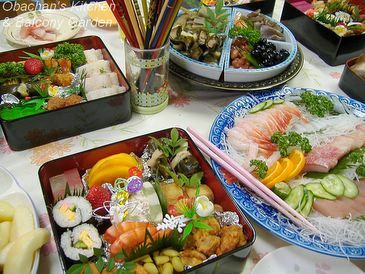 WOW, what beautiful boxes and food presentation! I think that this is a lovely feast tradition. 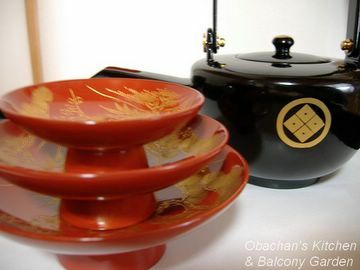 Happy New Year Obachan! 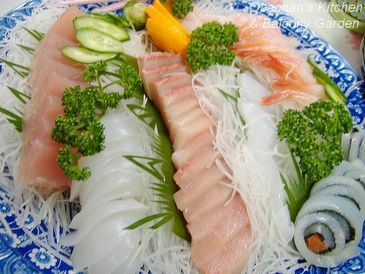 I've always love the Japanese culture and food, though I like my own culture too. Happy year 2007 to you! Haha... I'm looking forward to my own Chinese new year! 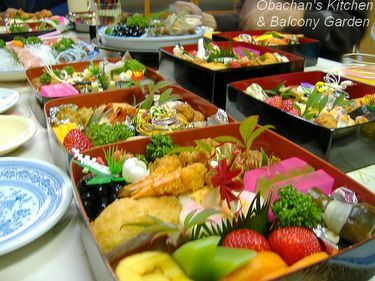 What a great spread, Obachan! I'm really looking forward to seeing more of your great food this year. Your name sounds familiar so I don’t think this is your first time commenting here. Hajimemashite. Thanks for leaving a comment. I wish you and yours the very best for 2007. Haha. Maybe more politically-correct word is penpersonship??? Anyway, like I wrote to Lucas, my penmanship is fake, so please don’t flatter me. Thank you. Same to you. And as I wrote above, I’m thinking about visiting Osaka sometime this year. Maybe we could see each other? Thanks. Happy New Year to you. Yeah, lovely tradition in a way, and a torture in another way… LOL. 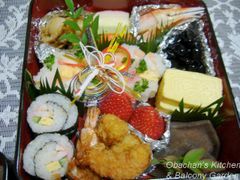 I wish you could come and help us eat the osechi. Have a wonderful year of the wild boar.